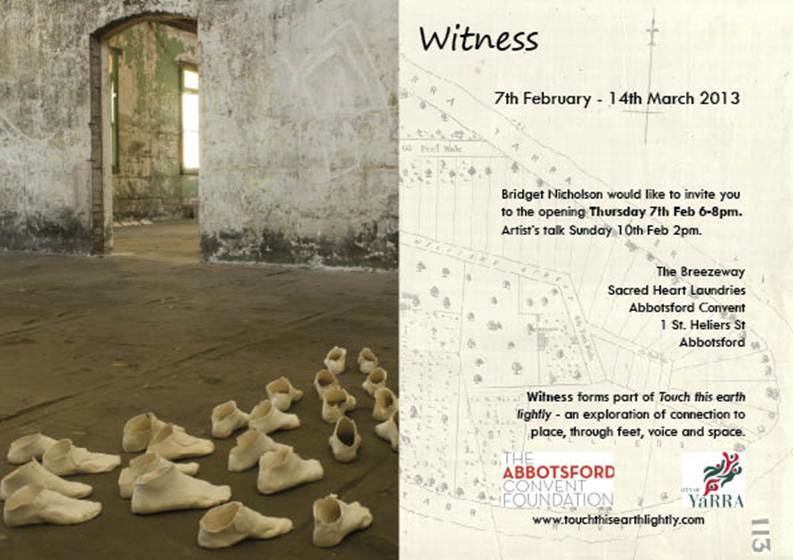 I have just finished work with local artist Bridget Nicholson for her upcoming work “Witness” at abbots ford convent. A highly talented lady who takes sculptures of peoples feet and displays them in unique patterns. I edited and set up a 5 channel sound system for her work and it sounds and looks amazing! Opening Thursday 7th feb. This entry was posted in Exhibition, installation, Recording/Mixing. Bookmark the permalink.